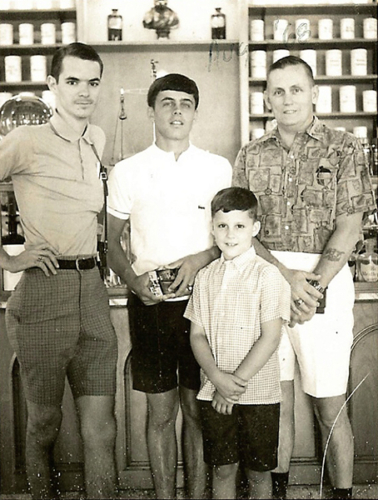 We are a 3rd generation family owned pharmacy making your health our first priority! 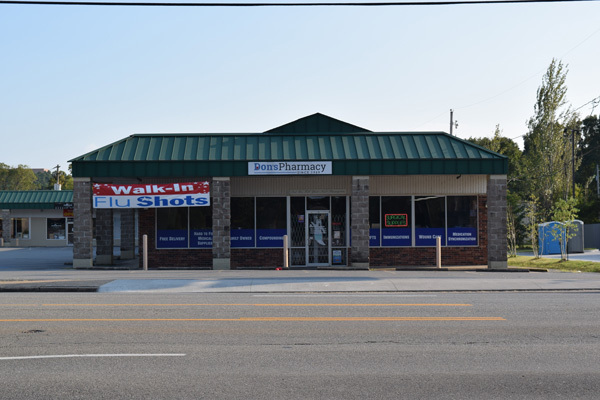 We offer same day delivery for the Little Rock area, 2 lines of compression stockings, compounding services, compliance packaging, nursing home medication management with long term care and assisted living facilities, durable medical equipment and gifts! 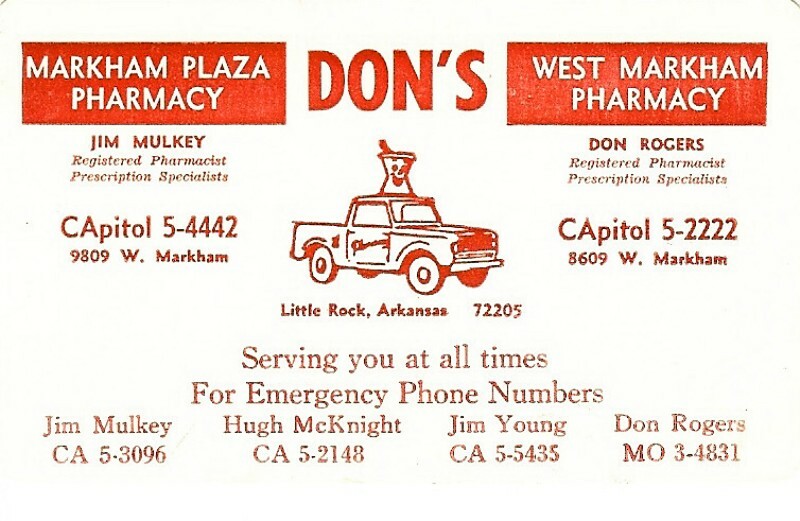 When Don Rogers first opened his pharmacy, it was on the edge of town on a dirt road with cows across the street. Many peers considered him to be crazy! 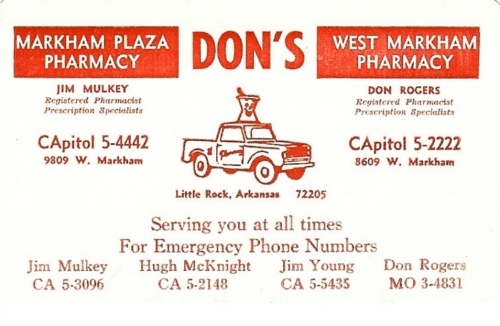 Eventually the edge of town became midtown as Little Rock grew west. 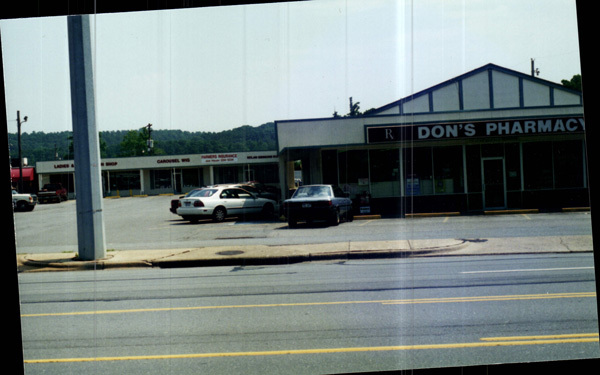 The cows were replaced by houses and the once dirt road is now one of the longest and busiest streets in Little Rock. 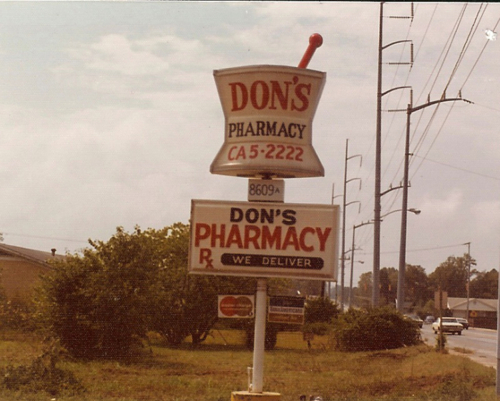 The centralized, family owned location and 60 years in the business has allowed Don’s to be one of the most trusted names in pharmacy.